Nothing leaves a more distinct impression on guests than a sophisticated window with elegant hardware. 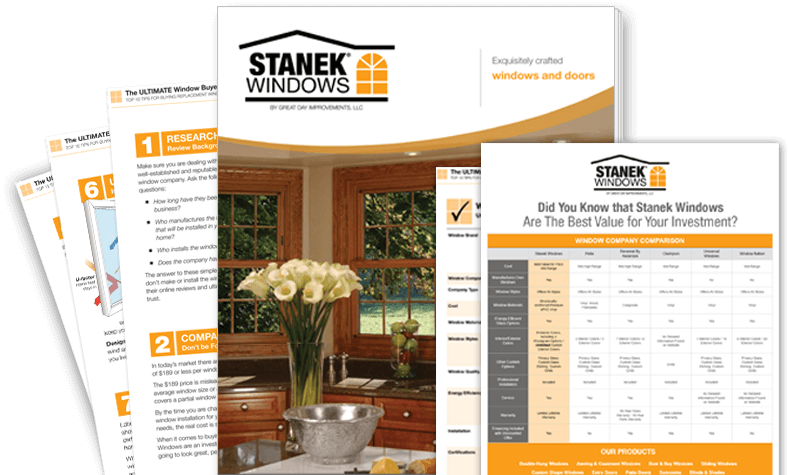 Stanek windows offer the most choices in hardware finishes to complement your interior décor. From handles to locks and levers, we've got you covered. 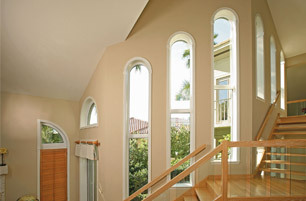 Options vary based upon the style of window you choose. Check out our interactive color selector below. Our double-hung and sliding windows utilize our double metal cam locks. 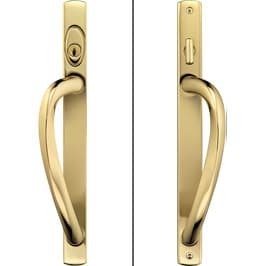 These locks offer added security as well as provide a tighter seal to protect your home from the outside elements and eliminate the exchange of hot and cold through the window. Plus cleaning the exterior of your window is a breeze with the all-in-one thumb-operated locks which activate the tilt-in sashes. 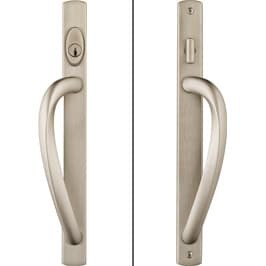 Our double metal cam locks come in White, Beige, Brown, Bright Brass, Antique Brass and Satin Nickel. 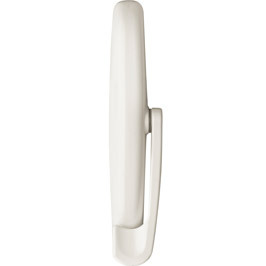 Our casement and awning windows use a convenient fold down handle and a lever lock. 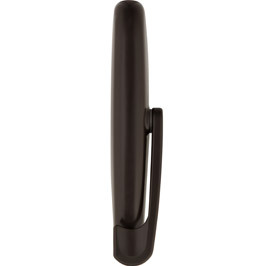 Due to its low-profile and fold-down handle, it won’t obstruct your home’s window treatments. 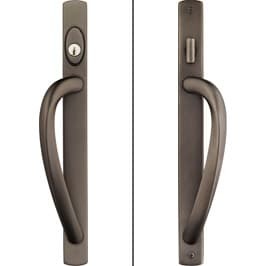 The lever lock secures the window tightly to provide stronger protection from the outdoors as well eliminates the loss of heat from your home. Plus, the operating components of our casement and awning windows are made using stainless steel to provide maximum durability. 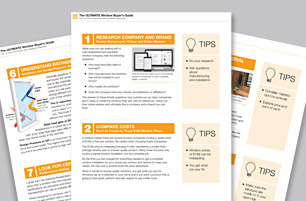 Enjoy effortless operation of your windows for life. 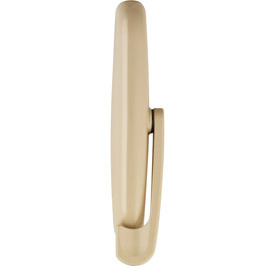 The fold down handle and lever lock come in White, Beige, Brown, Bright Brass, Antique Brass and Satin Nickel. 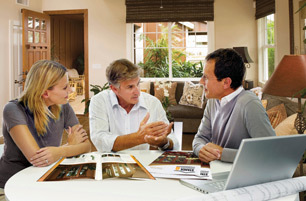 The hardware used in our bay and bow windows depend on the style of windows chosen. A bay window is typically constructed using a fixed center window and either casement or double-hung windows on either side. 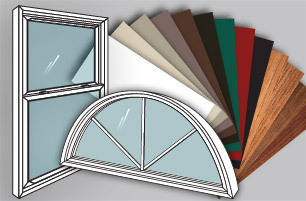 A bow window is typically constructed using all casement, all double-hung or all fixed windows. Since fixed windows don’t open, no hardware is used. 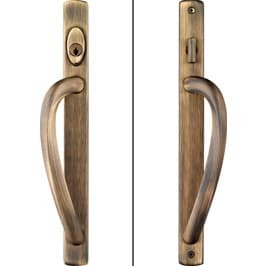 If a double-hung is selected, double metal cam locks will be used. 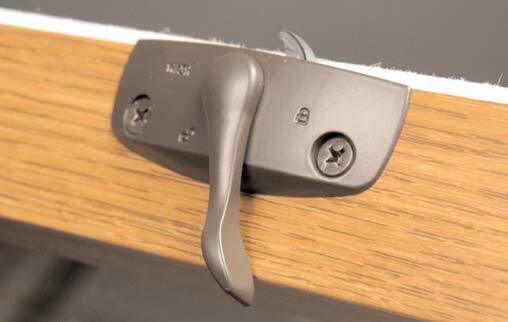 If a casement window is selected, a fold down handle and lever lock will be used. The color options are the same for both styles which include White, Beige, Brown, Bright Brass, Antique Brass and Satin Nickel. Our patio doors have a standard three-point locking system with a keyed outside entry that provides maximum security for you and your home. 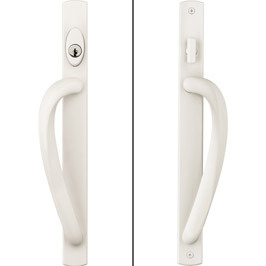 The three-point locking system is located in the door jamb and seals the door tightly. 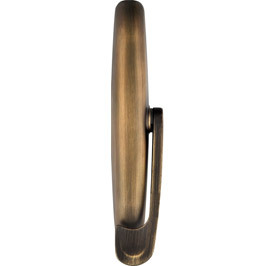 Our sliding patio door hardware comes in White, Bright Brass, Antique Brass, Oil Rubbed Brass and Satin Nickel.